There are several home projects that you can turn into a DIY project. More often than not, it saves you money. However, when it comes to any electrical concerns and problems, dealing with it on your own might pose hazard to you and could cause even bigger problems. Electrical systems are complex and dangerous if you do not have the technical know-how, the experience and the proper tools to handle the task at hand. For that reason, hiring a professional electrician is a must when installing or repairing anything electrical at home. Pokolbin, Branxton & Newcastle Electrical has been providing electrical installation and repair services throughout the Hunter Region for many years. 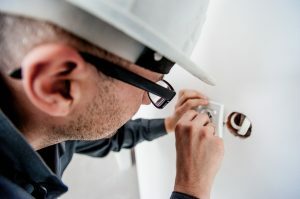 We are a team of well-trained and licensed electricians who are experienced in different installations and repairs, whether big or small, complex or simple. Our company is committed in providing our clients with only the best electrical service that is cost effective and worth your every cent. After a detailed inspection of your home, we will provide you with an estimate cost for the installation or repair service. That is inclusive of the labour fee and materials cost, so you don’t have to worry about surcharges or additional fees. A company like ours, which has been around for years, aims to build and maintain our reputation. For this reason, we make sure that all the work that we do are done with precision, efficiency, and professionalism. We take no shortcuts when it comes to doing our job. We always see to it that after an efficient planning, we carefully take appropriate actions when repairing or installing systems or appliances in your home. Electrical problems choose no time. They can happen right in the middle of the night. Most electrical emergencies need to be addressed at the soonest possible time, and having to wait until morning to call an electrician puts you and your family in danger. Our company has a pool of experienced electricians who are readily accessible and available 24/7. We make sure that we respond as quickly as possible, whether it is a minor or a major repair. Our commitment to providing first class customer service and high standard work quality is the reason why we are the top choice for your installation and repair needs in the Hunter Region. Next time you encounter an electrical problem at home, if you have new appliances that needs to be installed, or you simply want to upgrade you electrical system, just give is a call and we will gladly help you.